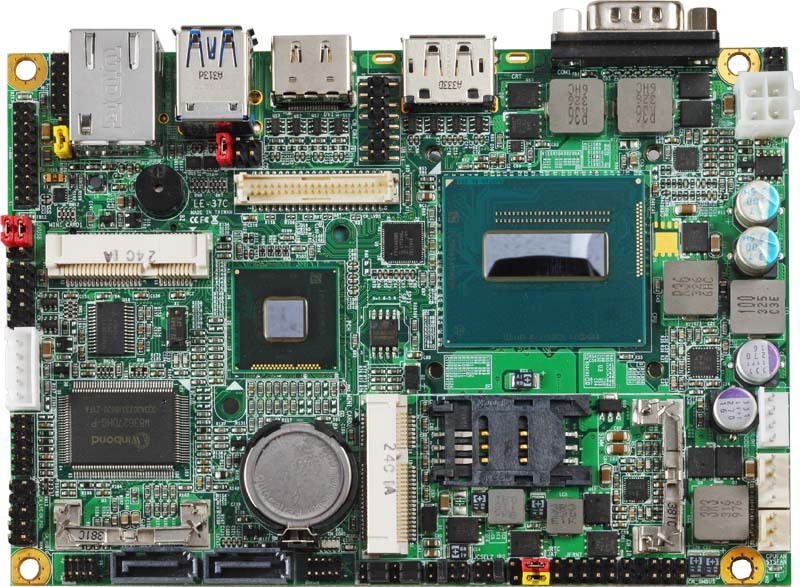 Intel® Broadwell (5th) / Haswell (4th) Core™ Mobile U-series  Processor. 5 x RS232, 2 x USB2.0, Intel® High Definition Audio,  two PCIE Mini card socket or mSATA. CPU: Intel® Broadwell (5th) / Haswell (4th) Core™ U-series Processor. Memory: 1 x DDR3L (support 1.35V) 1333/1600 SO-DIMM up to 8GB. Integrated Graphics: Intel® 5th/4th Gen integrated HD Graphics. Display port interface: Onboard Display port connector (Display port and CN_DVI2 can’t be enabled simultaneously). DVI interface: Onboard DVI-D (CN_DVI2) interface (With Display Port can' t be enabled simultaneously. Optional add onboard interface CN_DVI1, but it and HDMI can’t be enabled simultaneously). HDMI interface: Onboard HDMI connector (If optional for CN_DVI1, HDMI can't be use). LAN Interface: 1 x Intel® I218-LM Gigabit LAN (Support iAMT10), 1 x Intel® I210 Gigabit LAN (Optional). Serial ATA: Support 2 x SATA3 with 600MB/s (6Gb/s) transfer rate, RAID 0,1. 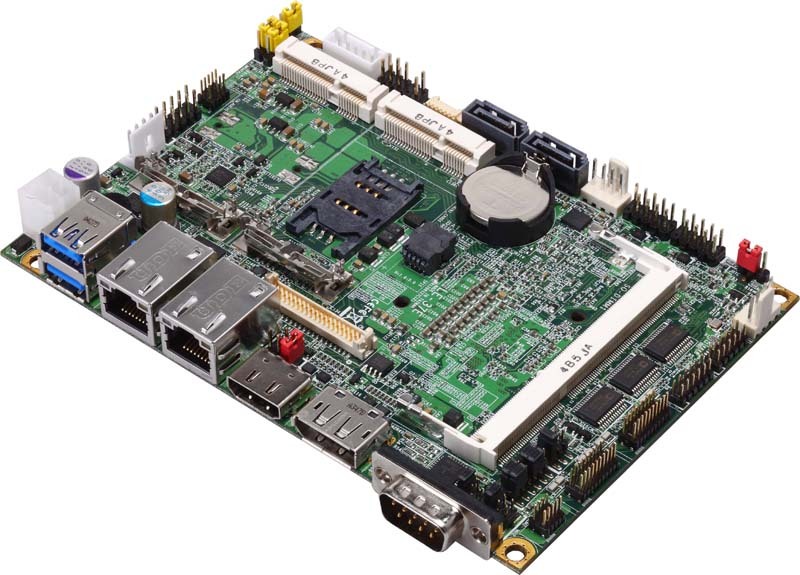 Internal I/O Port: 1 x PS/2, 4 x RS232, 1 x RS232/422/485, 1 x DIO, 1 x Audio, 1 x SMBUS, 1 x DVI(Option for 2), 1 x LVDS, 1 x LCD inverter, 1 x LPC, 4 x USB 2.0, 2 x SATA3 and 1 x DC Out. External I/O Port: 1 x RS232, 1 x HDMI port, 1 x Display port, 1 or 2 x RJ45 LAN port(s), 2 x USB 3.0. 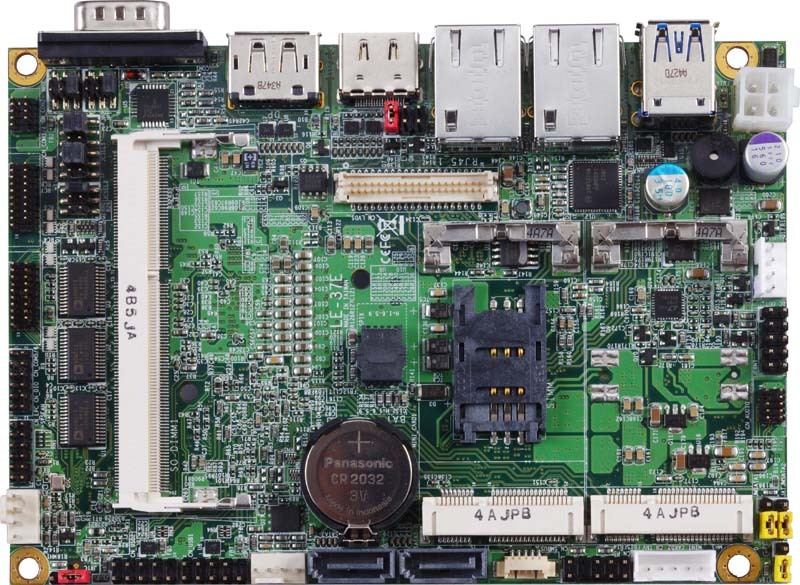 Extended interface: Two PCIE Mini card or mSATA slots, one SIM socket. Intel® 5th/4th Gen Core™ U-series Processor, 1 or 2 LAN, HDMI, LVDS, DisplayPort/DVI-D, USB2.0, USB3.0, MinIPCIe, mSATA, Audio, SATA3, COM, LCD inverter, SMBUS, DIO, LPC, PS/2, DC Out.